I have been completely consumed by the arrival of the Moog Sub 37. It has only been 2 days since I’ve had it, and there is a lot to say about it. At first, and even before it’s arrival, i was thinking, Eh, its going to be just ok. And if i don’t like it, i can always have it as something to trade and to sell later on. That turned out to be hardly the case. This synth is a keeper, and I have already signed my name on the back of it. So theres no way back. So lets talk about the Company first. Moog is the Nicest company you could ever meet. They really pack a lot of love into their products and craftsmanship. They make you feel like You’ve also been invited over to a home dinner after the purchase of one of their products. Bob Moog would be very happy with the products they have been releasing after his unfortunate passing. It all started at the beginning of 2012 when i received an email from the company stating that they would like to support my work at youthville, would like to donate a limited edition Lil Phatty synthesizer, and needed presets for their Animoog product during the 2012 Movement Fest in Detroit. (I rate the Animoog as one of the top 5 i phone / i pad apps) So things were getting serious. Donating a Lil Phatty Synthesizer gave me the first chance to incorporate a piece of hardware at my workshops, and at youthville. It is really important to show kids the workings of a physical product, and how it relates to the primary aspect of synthesis. The last 2-3 years has seen a rise in the production of mono synthesizers in the market by several different hardware companies. As competition increases, it seems that a quick way to generate revenue for hardware companies is by producing inexpensive mono synthesizers marketed around popular styles of electronic music. Furthermore, there also seems to be a rise in the demand for hardware synths vs software programs. Many of the leading mono synths are slightly less than the full price of a DAW, or software synth as well. This is a favorable aspect that the market seems to be responding to. Many hardware users also are enticed by hardware synths because they are not affected by ram, processor speeds of a computer, or the need to upgrade to a newer computer in order to continue using it. These are competitive factors that are here to stay, and will continue to influence the market place. So lets move on to reviewing the Rocket Synthesizer by Waldorf. ( Mind you that i am a Waldorf fan, and in particularly of the Waldorf wave. But i will not let my biases interfere with this review ) This is a very sleek mono synth with a stunning build to it. The unit has a great design, and has an extremely sturdy build and design to it. In a ridiculously overdue feature, we sit down with Detroit’s Mike Huckaby, who graces the cover of Issue 91 as this month’s 5 Magazine Interview. We also talk to DJ Gregory about the rediscovery of his Point G alias, and the first of several re-issues & new records that capture his older, rawer sound. Mike Huckaby isn’t just one of Detroit’s most beloved producers and DJs, he’s one of its most dedicated teachers and irrepressible enthusiasts. Since he first made his name in 1995, the house music stalwart has released classic records on labels such as Third Ear, Rick Wade’s Harmonie Park and most recently Tresor, as well as on his own Deep Transportation and S Y N T H imprints. He worked for years behind the counter at the legendary Record Time store. He has remixed the likes of Model 500, Pole, DeepChord, Vladislav Delay and Terrence Dixon, and released two volumes of reel-to-reel edits of Sun Ra (“Jazz is the umbrella under which deep house music resides,” he once told FACT). Meanwhile his ever-evolving understanding and appreciation of synthesis and studio processes, and his voracious appetite for new technology, has earned him a reputation as something of a producer’s producer. To his infinite credit, Huckaby is also someone who takes pleasure in sharing what he’s learned, and encouraging others to bring their own ideas to fruition. He can be founding regularly coaching students at Detroit’s Youthville Centre in Ableton Live, Reaktor and other music production technologies, and he has led many workshops worldwide. Just today it was announced that he has compiled a free sample pack for Groove, featuring sounds culled from such disparate sources as the Alesis Andromeda synthesizer and his brother playing live percussion in a noisy café in Toledo, Ohio. 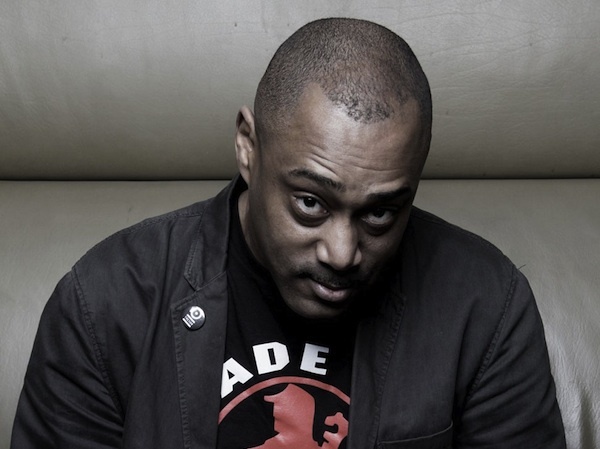 Mike Huckaby will be playing at the Holic NYE 2013 party in London, which takes place at Cafe 1001 and the Old Truman Brewery Warehouse on, of course, December 31. But this is no ordinary NYE party: it’s an 18-hour marathon, kicking off at 8pm and going hard until midday on New Year’s Day. The Huck will be joined by Kate Simko (live), DJ Steaw, Tomoki Tamura and many more; find more information and tickets here.